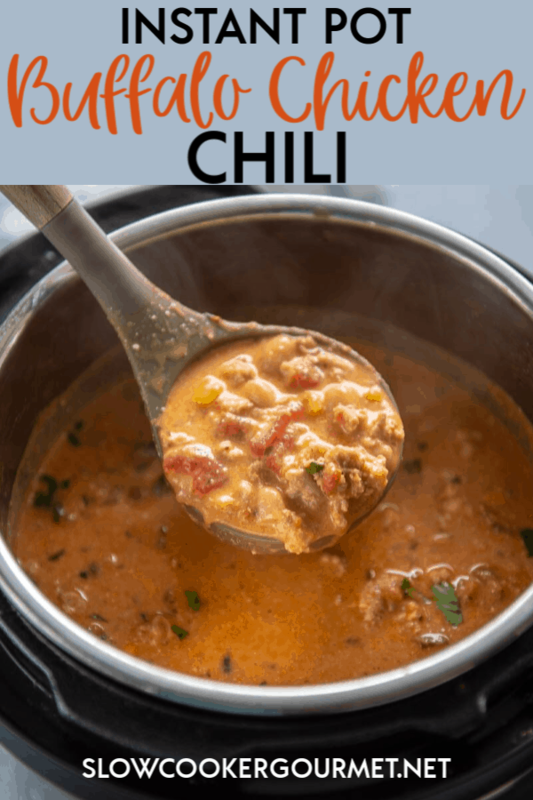 By popular request, my award winning chili has now been converted so that you can make it in the pressure cooker! 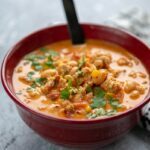 Instant Pot Buffalo Chicken Chili is creamy, spicy and the best chili in town! 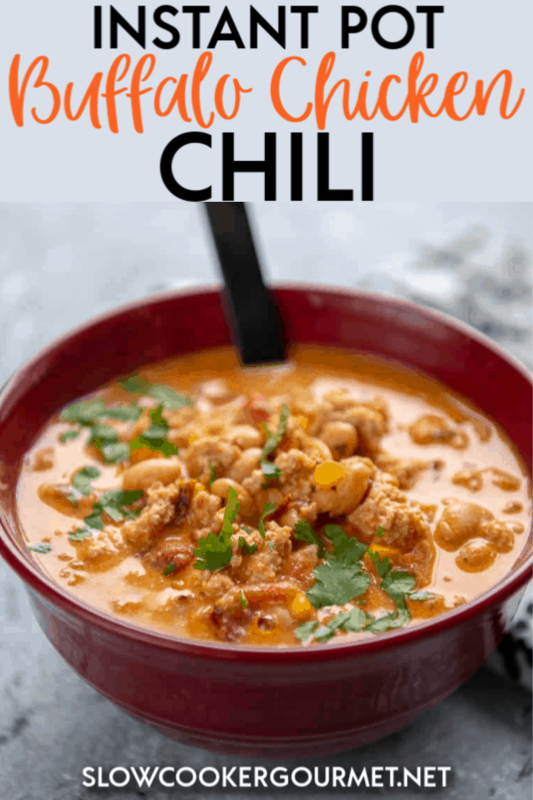 I can’t tell you how how thankful I am to see the notes pouring in even to this day for a chili I first made several years ago on a whim. It was one of those days where I took a look at what was in my cabinet and came up with a “kitchen sink” kind of meal, that has turned out to be the best kind of meal at all. It’s had a few slight adjustments over the years to take into account all of the feedback from all of you who have made it. And today it’s getting another kind of adjustment, by popular request, a way to make it in the electric pressure cooker. 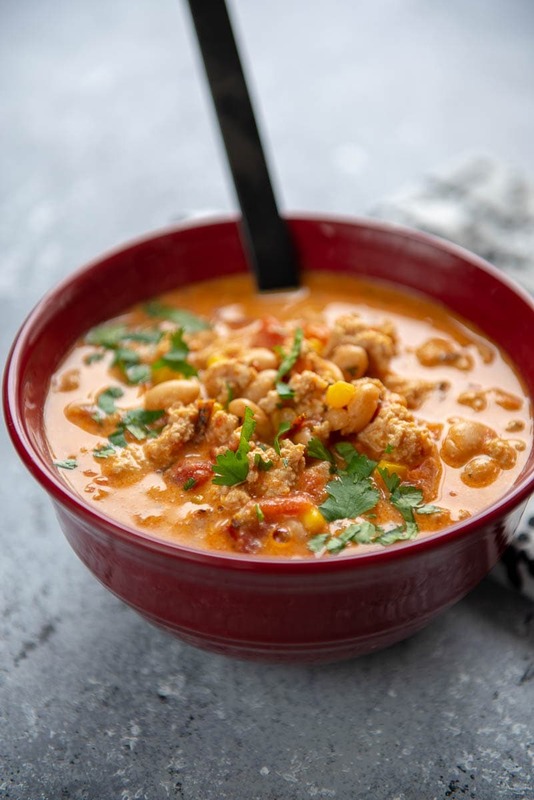 So today, finally, I share Instant Pot Buffalo Chicken Chili! Add broths, seasonings, water, tomatoes, etc. 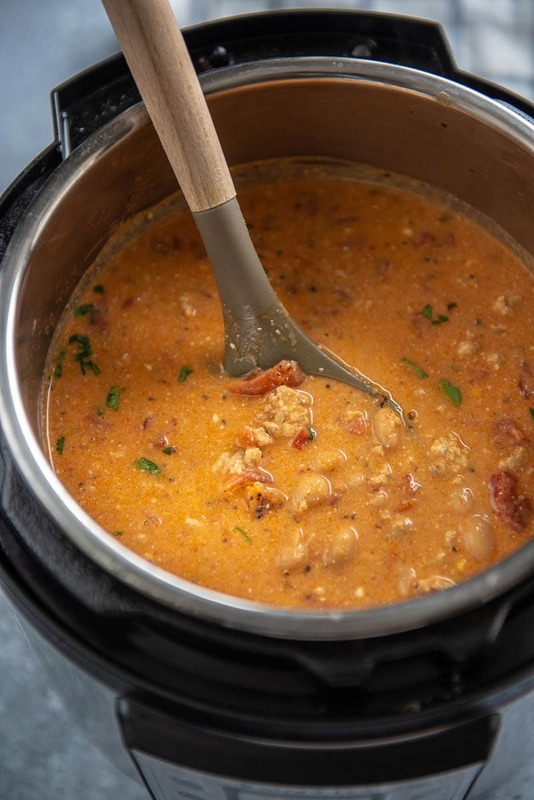 Is making chili in the Instant Pot really faster than cooking on the stove? I know many of you will have this question, and it’s a comment I get on a lot of recipes. Allow me to explain. 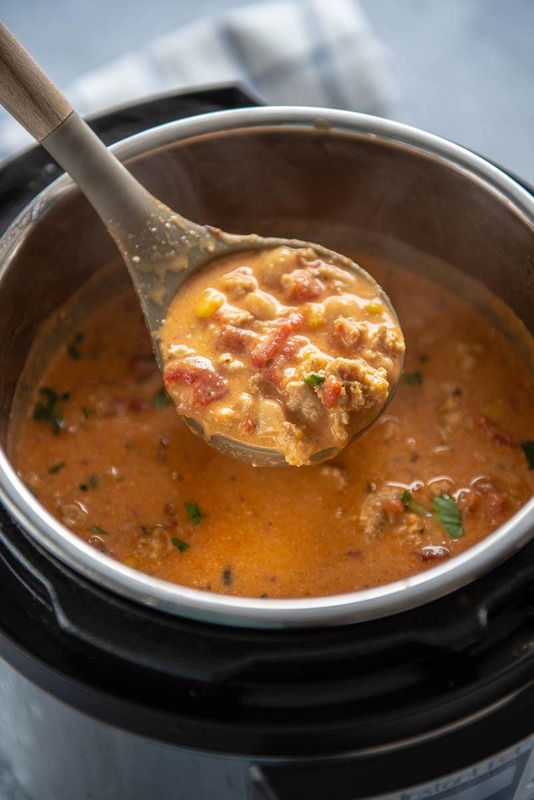 Yes, if you want to make this on the stovetop, then go for it! It’s totally possible. However, I like the Instant Pot for a few reasons. Think about the fact that once you toss everything in, you can walk away and go do something else for awhile. That 10 minutes of time under pressure? That’s like 45 minutes on the stove, where you’d need to at least keep an eye on it to ensure it doesn’t boil over, the flame doesn’t go out (if using gas) or that something doesn’t go wrong. And yes, you do have to wait around 15 minutes for the pot to come to pressure, but again, that’s walk away time where you don’t need to be hands on, and I’m all about reducing hands on time for recipes because we all have a lot of other stuff to do. Yes, you can use chicken breasts if you prefer. Cooking time should be increased to 12 minutes on high pressure and then chicken can be shredded. Use less buffalo sauce for less spicy, more for more spicy. Obvious, but you’d be surprised how many comments I get about this being either too spicy or too bland. 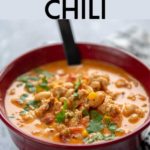 Cream cheese gets added at the end and melted into the chili. Make sure it’s room temperature and then just keep stirring. I get this question a lot about the lumps or specks of cream cheese, and you just need to keep stirring. Using a whisk helps. Most of all, enjoy and make it your own!! 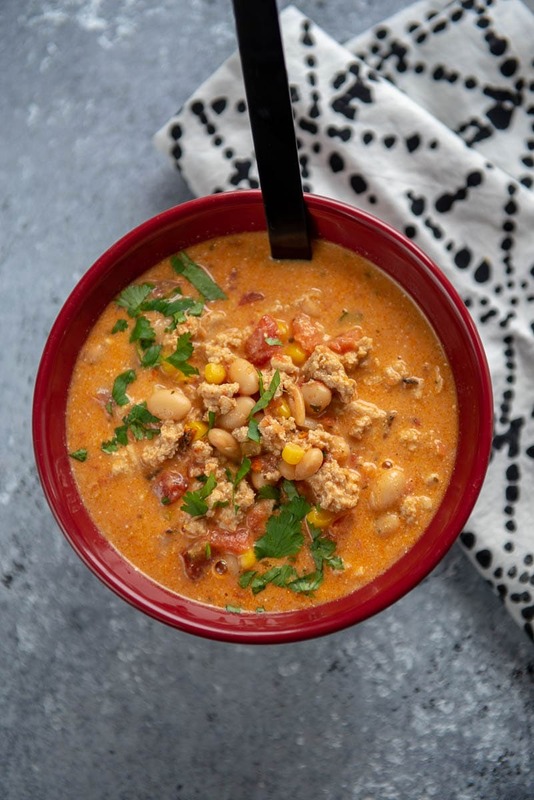 Just be sure to come back and let me know if you win your local chili cook-off!